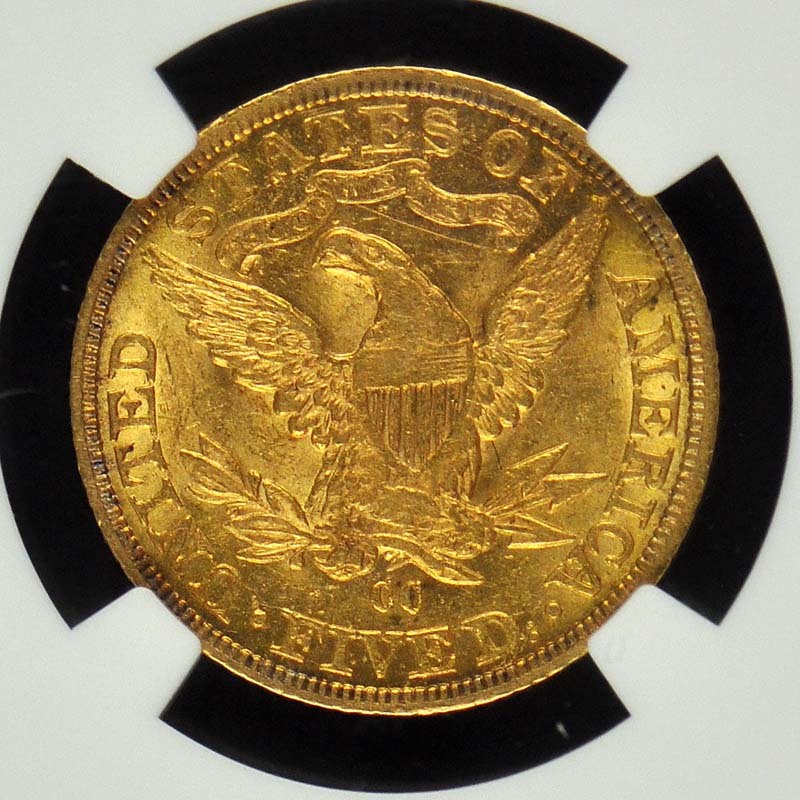 Half eagles were not produced at the Carson City Mint from 1885 to 1889. 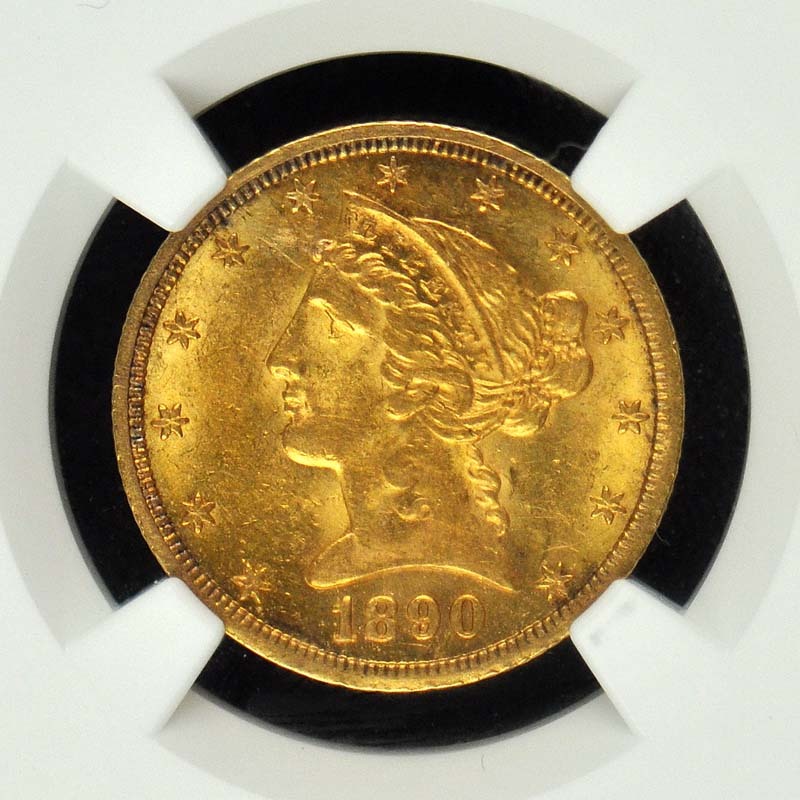 The Mint may have changed the way they distributed coins beginning in 1890, as this and subsequent dates are much more available in high grade. 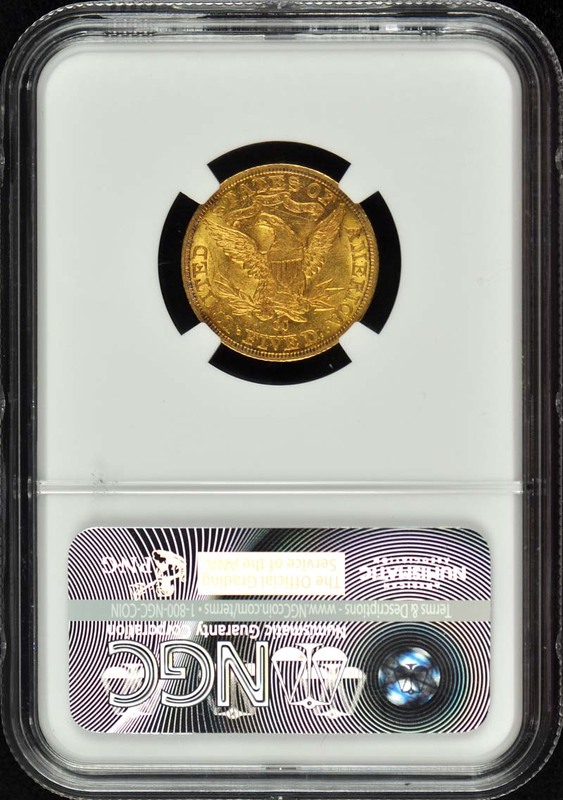 Nevertheless, the 1890-CC half eagle is scarce, but its popularity derives from the desire of collectors to own a coin struck at the popular Carson City Mint. About Uncirculated examples are rather plentiful. Two or three coins are known at the gem level. The finest example known of this date is a PCGS MS-66, which I discovered in central Florida during the 1990s. 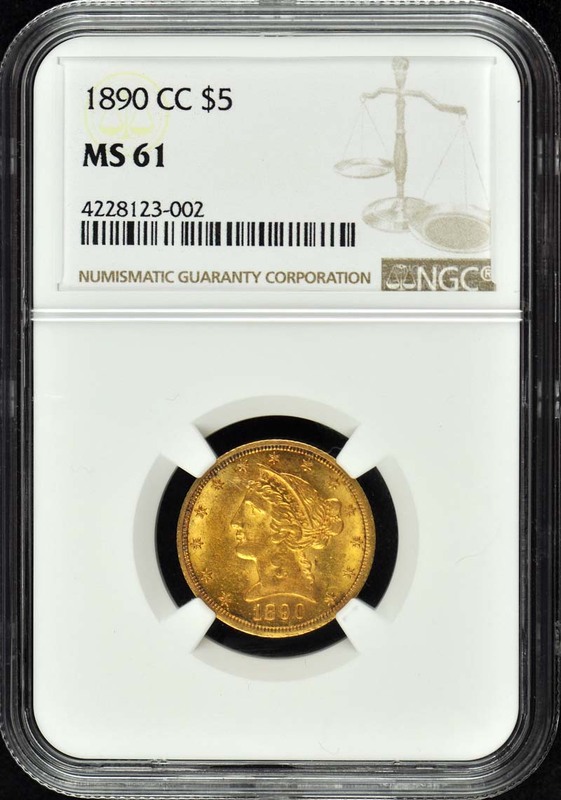 That coin sold in 2004 for $66,125.